Obituary – Cook, Calvin Coldiron « Perry High School Alumni Association, Inc.
Calvin Coldiron Cook, beloved husband, father, grandfather, great-grandfather and friend went home to be with the Lord on Sunday, July 7, 2013. Calvin was born on March 18, 1928, in Perry, Oklahoma. He attended Oklahoma State University and graduated with a Bachelors degree in Business Administration. He served as a Captain in the 45th Infantry Division of the U.S. Army and fought in the Korean War. 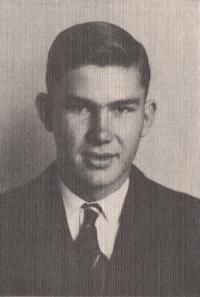 Upon his return from Korea, he continued working for George E. Failings Company in Enid, Oklahoma, where he met and fell in love with Lorraine Blaser. They were married in 1954, and moved from Oklahoma to Grand Junction, Colorado. Calvin worked for Failings for over 40 years and also owned a number of drilling and oil field service companies. He served as a deacon and worked with the youth at First Southern Baptist, Bookcliff Baptist and Monument Baptist churches. He was most recently an active member of Emmanuel Baptist. Calvin is survived by his wife of 59 years, Lorraine; his three sons, Terry (Candace) of Alta Loma, CA; Duane (Kim) of Grand Junction, and Stacy (Galina) of Austin, TX; his grandchildren, Amanda Cook of Austin, TX; Deidra (Cory) Turley of Norman, OK; Jonathan Cook (Jamie) and their son, Aiden of Bismark, ND; Anna Prien of Vancouver, B.C. ; Jesse Cook (Karri) of Bismark, ND, and Kaitlyn Cook of Alta Loma, CA. A memorial service will be held at Emmanuel Baptist Church on Thursday, July 11th beginning at 11:00 a.m. 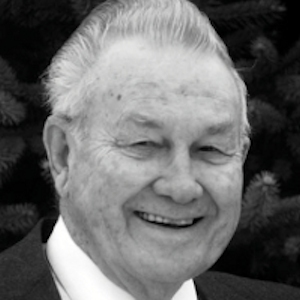 Contributions in memory of Calvin can be made to Emmanuel Baptist Church at 395 31 – 5/8 Road, Grand Junction, CO 81504. All contributions will be donated to the Gideon’s Int. and The Voice of Martyrs.